Also that she has found her match and will embark upon a new and happy phase of life with him by her side – that part, yes, is a pretty good part of the general your-sister-is-engaged situation. But getting invited to the wedding cake tasting is, you know, right up there. So maybe you spent the whole weekend eating cake? And dark ganache and smooth fruit curds and various flavors of buttercream? (Thanks, A Cupcake Wonderland.) So what? This morning, like pretty much most other mornings since you bucked up and bought a blender, you will be awoken to the sound of loud things crashing around inside that machine. On the one hand, you’ll be annoyed — in a bleary-eyed, frizzy-haired and too-tired-to-actually-get-annoyed sort of way. You’re pretty sure you were just sleeping, quite soundly, a minute ago. On the other hand, breakfast in bed! It’s a trade-off, really. 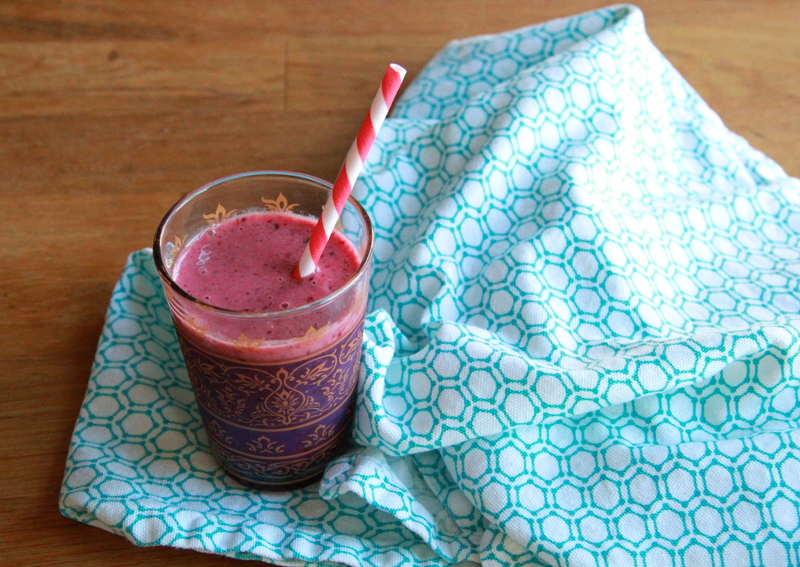 A fruit-and-yogurt-packed smoothie rights all wrongs. It erases all traces of errant cake crumbs and swipes of buttercream. It makes you feel okay about that extra spoonful of salted peanut ganache. Is that sort of logic foolproof? Will it hold a bunch of water? I mean, probably not. Do I still want to jump on the breakfast smoothie bandwagon? You bet your frozen berries I do. Ben considers himself something of a smoothie aficionado, and I’m sure would want me to tell you that, although a solid smoothie base, this recipe welcomes many additions and substitutions. A big spoonful of peanut butter is a great idea. Frozen peaches instead of berries? Orange juice instead of apple? Wonderful. A handful of spinach? Throw it in there. Ben has even been known to add a tablespoon or two of silken tofu to the mix, which I totally thought was weird at first, but actually contributes extra creaminess and a good shot of protein. Just be sure to start with a foundation of banana and yogurt. Choose your favorite combination and whip up a quick and healthy breakfast in bed for your favorite Mama this Sunday! 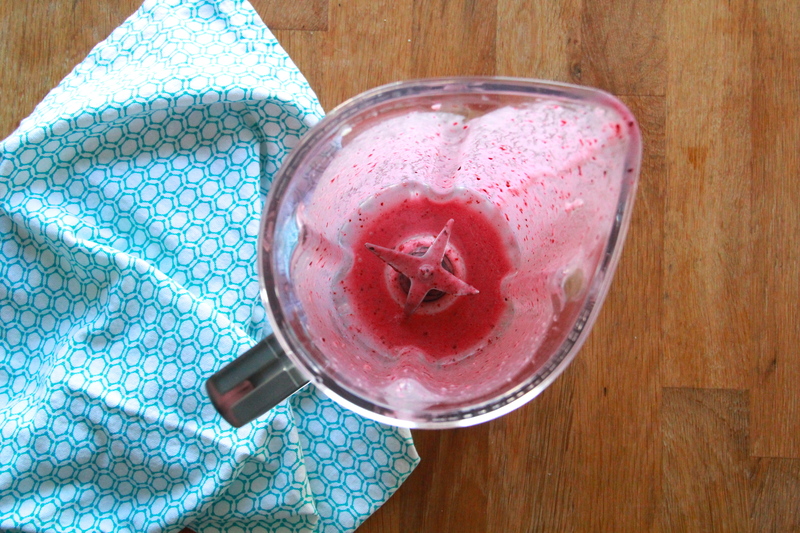 Place all ingredients in a blender, and blend at a high speed until smooth and frothy. Pour into 4 small or 2 large cups, and serve immediately. Wait, are you saying that good foods don’t cancel out the bad foods that I eat? I may need to reevaluate my diet. 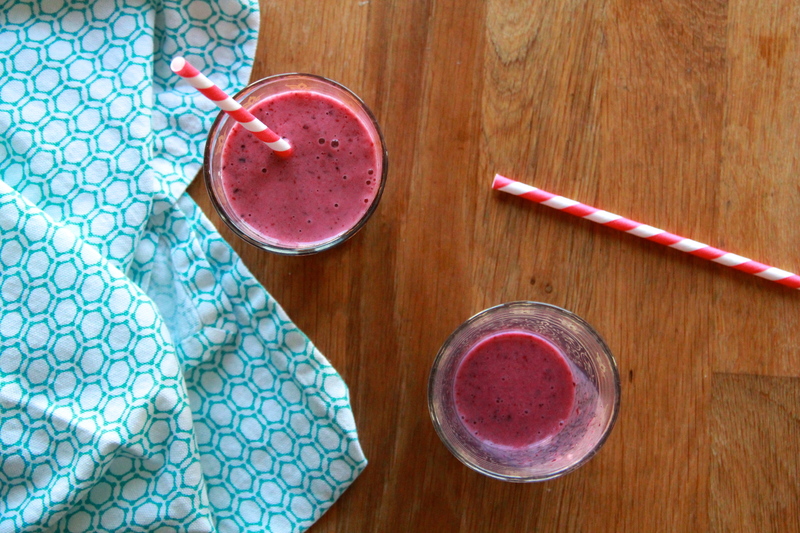 Either way, smoothies ahoy! The thing is this: Some of us who have extensive experience in eating cake were not invited to join the cake tasting committee. I mean, it was an absolute outrage! But maybe one of Ben’s Berry Smoothies will help soothe our pain. I don’t have to put spinach in it, though, do I?